Run….don’t walk…brunch at the National on 17th boasts a duck skillet that will make your toes curl and your taste buds jump for joy!!! Great spot for brunch, nice chill vibe with big portions, and the beer is always on tap! 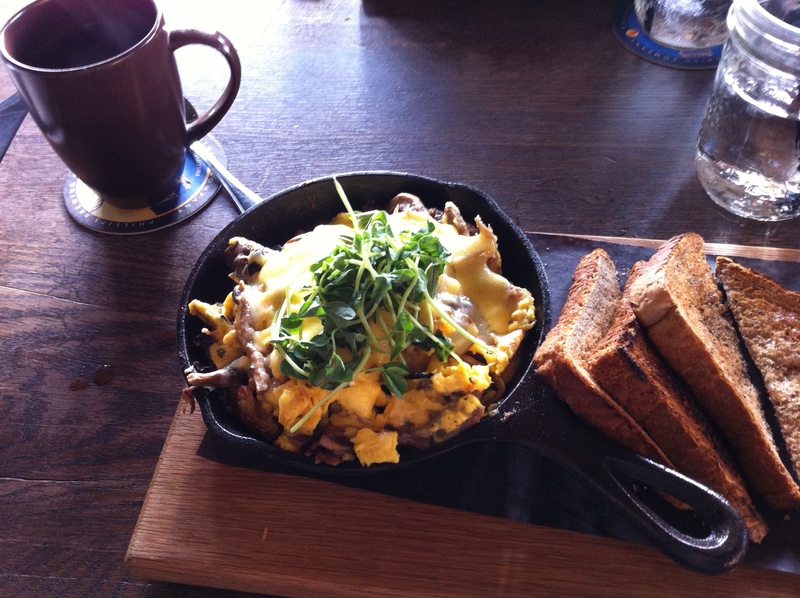 We both had the skillet and it was so rich and flavourful…in fact I still dream about that beautiful duck! Husband had been drinking there the night before…he should have just slept on the bench and I could have just joined him in the morning for brunch! I really enjoyed this location and the food was great! The bill came to a little over $40.00 which is par for the course. The service was challenging- they were obviously shorthanded; however, honestly it didn’t much matter to us as we were happy to chill.